Sighişoara is the most perfectly preserved of the Saxon, walled cities in the Carpathians. Created in the 12th century when the kingdom of Hungary invited German knights and craftsmen to established fortified cities at strategic points on the eastern and southern flanks of the range to guard against Ottoman intrusions. 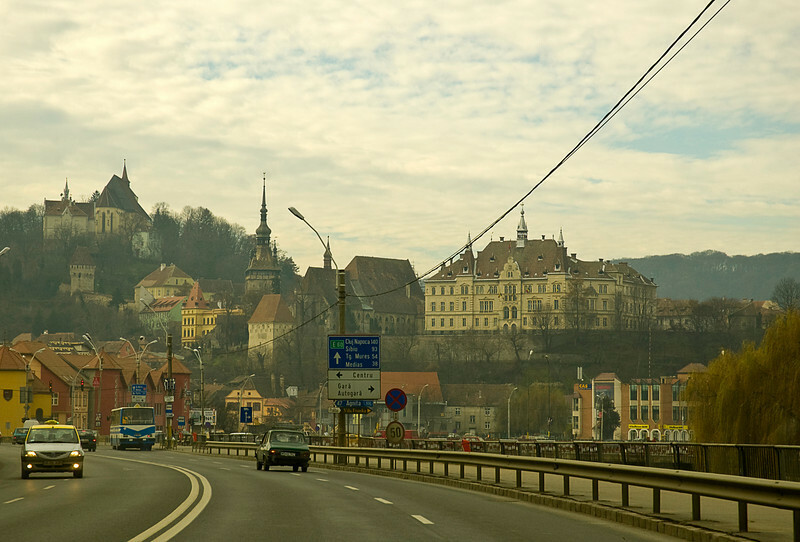 Approaching Sighişoara with the old town and Citadel in the left background and the newer town and City Hall to the right.